For building the Mobile Drone Command Trailer, which has recently made its debut at Fire Rescue East Conference and Trade Show in Daytona Beach, Florida, United States, E-ONE partnered with the leading provider of unmanned systems and innovative technology solutions FLYMOTION. The length of the all-aluminum Mobile Drone Command Trailer is 16 feet (4.9 m). It can be used as a fully climate controlled hub for remote UAS operations or as a central command centre for receiving all of the telemetry, video downlinks and data processing when operating drones. For the latter it has been developed and equipped with multiple work and flight stations, integrated communications, advanced Gigabit-Class LTE network capabilities inside along with a large external screen monitor compartment beneath awning. Solar panelled roof secures extended remote operations. 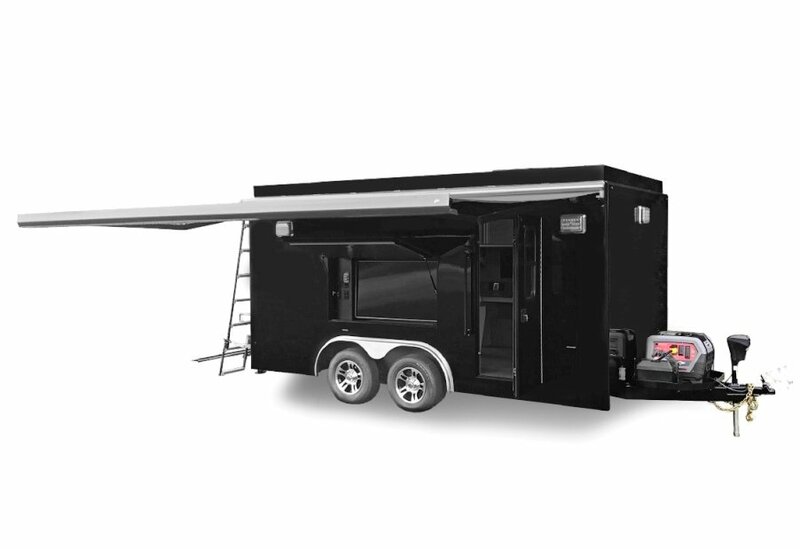 Other features of the new Mobile Drone Command Trailer involve a dedicated charging hub for UAS equipment and electronics, antenna rails around perimeter of roof which functions as a flight observation deck, 360 degree high intensity perimeter lighting, all LED marker and emergency warning lighting controlled from tow vehicle and others. Other practical applications of the Mobile Drone Command Trailer include fire departments, law enforcement agencies, private entities, emergency services operations, search and rescue operations, hazmat responses, active shooter situations, mass casualty incidents, as well as SWAT and tactical operations. E-ONE is headquartered in Ocala, Florida, the United States. The company is a global designer and manufacturer of fire trucks. E-ONE is owned by the REV Group – a leading manufacturer and distributor of specialty vehicles and related aftermarket parts and services around the world. FLYMOTION is headquartered in Tampa, Florida, the United States. The company is a leader in providing unmanned systems, technology integration, training, consulting and innovative solutions for the needs of public safety agencies, government and military around the world.